When a child starts at secondary school, one of their main anxieties may be the fear of not knowing anyone at their new school or having no friends. 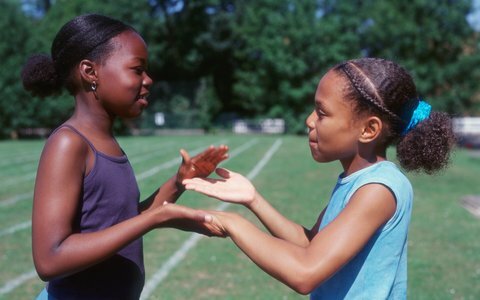 Most children, however, are usually very flexible in making new friends, even if it takes a little longer than expected. Some schools will actively help new pupils to get to know one another. Children sometimes make friends and then fall out again for a short time - many different groupings and regroupings can occur in the early days, and this is part of a natural process. After all, your child is still forging his or her own identity. Encourage your child to get to know as many classmates as possible. Many of them will have hidden qualities that your child may appreciate and enjoy when they make the effort. Discourage your child from being over-reliant on a small group of friends. If your child feels excluded by a group encourage her or him to make friends with other pupils. Involvement in local clubs or play centres may help and, where possible, give your child the opportunity to visit friends and have friends over. Finally, let them know that they can always talk to you about their friends and friendships if they want to.